This Halloween night, Aki and I will be dining on pizza, and feasting on horror movies. I wanted to do some kind of Halloween-inspired questionnaire, and Cannibalized two tags I found online, and answered some questions. 1. What's your favorite horror movie? From Western, European, to Asian Horror, I live for horror films; there are too many loves to just choose one. But, here are some of my favorite Halloween-themed horror movies: The Night of the Demons (1988), John Carpenter's Halloween, and Trick r' Treat (2007). A few days ago, my friend Katrina read something on astrology signs and horror movies, and it said I would be the only one to survive because secretly, I was the killer. So, there you go. 3. Favorite scary video game? Silent Hill. It must be played at night with all the lights off. Just like question one, too many to choose from. Anything Poe is always great, but the first two works that came to mind was the short story, The Lonesome Place by August Derleth, or Prodigal by Melanie Tem. 5. What's one unusual thing that you're afraid of? You all know this...the "S" words. 6. Favorite horror or Hallowen-themed song? Again, there are so many horror scores I love. Here's a funny story. A long time ago, when I was living alone in the states, I used to have Ave Satani from The Omen (1976) as my ringtone. In the middle of the one night (around 3:00am), I was awoken by my friend Danny's call. I knocked my phone over, and couldn't find it in the pitch black. So, there I was in the darkness, frantically looking for my cell, with this creepy AF song blaring. When I finally found my phone, and answered the call, I told Danny, "my phone is trying to kill me." Needless to say, I changed to my ringtone the next day to the theme song to One Missed Call (2003). 7. If you were dared to spend the night in a "haunted house," would you do it? You don't have to ask me twice, already changed my forwarding address. 8. Which urban legend scars you the most? I don't find it scary, but I'm intrigued by the mythos of Bloody Mary. 9. Ever made a potion of any sort? Every time I cook. The special ingredient I add to everything I make is a sprinkle of hate. 10. Do you get scared easily? Sadly, no. I've always been drawn to the "darker" things in life, as well as getting into horror movies at such an early age has desensitized me. As much as I love the genre, it doesn't scare me. 11. Would you ever go to a graveyard at night? All throughout high school, I hung out in graveyards. 12. In a zombie apocalypse what is your weapon of choice? 13. Do you have to watch something happy after watching a horror movie so you can you to sleep? No. All I do is watch horror movies, and I always pass out to one playing in the background. Never had a nightmare from a horror movie, ever! 14. Whilst watching scary movies, are you the person who yells at the characters, the person with their eyes covered the whole time, or the person who falls asleep? If the characters are exceptionally stupid, I'm wishing for their deaths. 15. Are you the one who gets scared, or the one who does the scaring? I love to hide around the apartment and jump out and scare Aki when he comes home from work. You'd like the man would learn, but I get him every time. 16. How old were you when you saw your first horror movie? 4 Years old. And I swear, I'm well adjusted. Or at least that's what my therapist and my neighbor's dog tell me. 17. 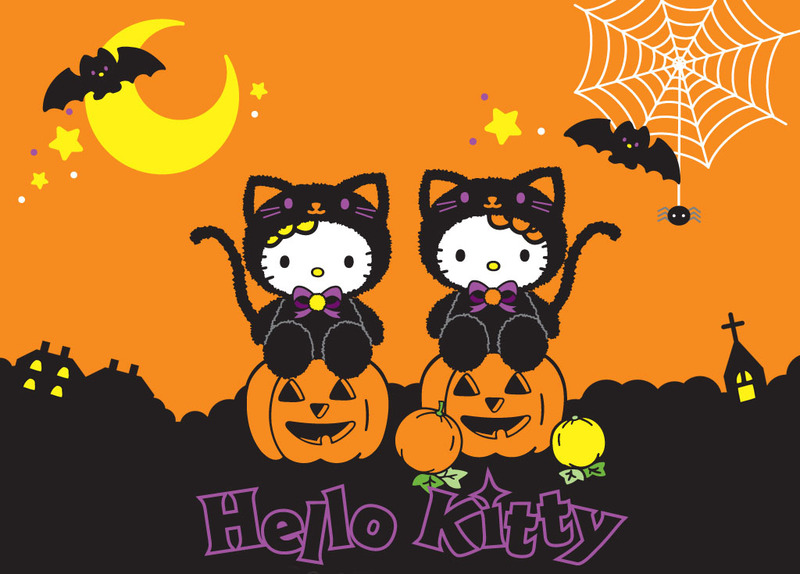 If you could have a spooky Halloween pet (black cat, owl, bat, rat, wolf), what would you pick? Without hesitation, a bat. I adore bats, particularly fruit bats. Definitely Werewolves. The idea of being ripped apart a la American Werewolf in London (Rick Baker, I heart you loads) is horrific. Ghosts. you can runaway/ fight zombies, but the supernatural is intangible. I don't get the whole fear of clowns. You'd expect to see a clown at a birthday part, circus, or carnival...not scary. However, a clown standing in the middle of a forest at night...terrifying. That said, those spooky, haunted glass eyes and expressionless faces, creepy dolls are far more scarier; especially the demonic possessed ones. Each franchisehas it's own blood-soaked charms that I love, but based on their modus operandi, I have to say Freddy. Wanna avoid Jason? Don't go camping at Crystal Lake. Wanna Avoid Michael? Stay clear of baby sitting and Laurie Strode. Leatherface? Don't travel to that part of Texas, don't pick up any hitchhikers, and don't investigate squealing sound coming from a rundown house! No matter how much of an insomniac you are, you have to sleep, and when you do, Freddy will be coming for you. Hope you enjoyed this tag. If you'd like to do it, please link me, or respond in the comments. Lol, because you're a masochist, that's way :P Very cute Anna. Do you have a similar holiday in Greece? I would love to have read your answers to this tag. Maybe next year?! I did watch Annabelle, but I was left wanting more. Thought it would have been scarier if they stuck with the origin story of the doll with the two nurse and it being a demon.